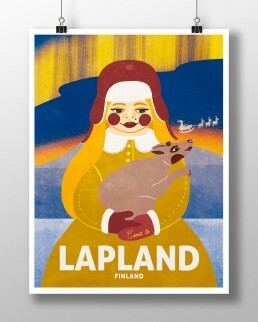 Come to Finland Publishing, Visit Rovaniemi, Arktikum, Lapland Hotels, Grafia and the advertising agency SEK organized a travel poster contest with Finnish Lapland as a theme. 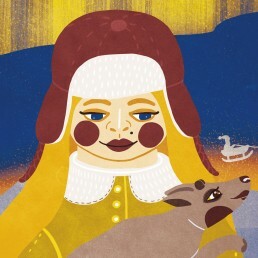 My poster ‘Lapin taikaa- Magic of Lapland’ was one of the top 10 finalists! The ten finalists were displayed for voting at the Arktikum Museum in Rovaniemi (FI) and at the Travel Fair in Helsinki (FI) in January 2018. Voting was also possible online.